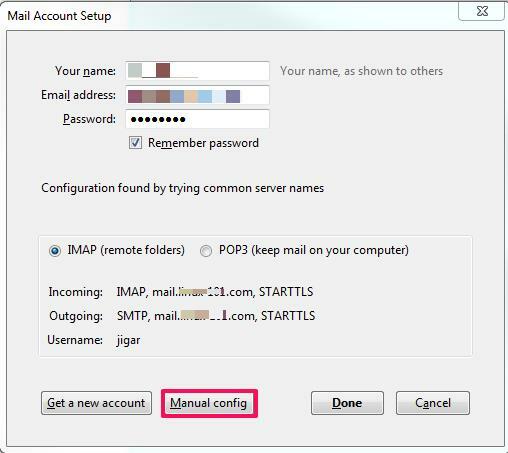 Click on the Account Actions and select Add Mail Account. On the next step, click on Manual config. Note: Some Internet service providers (ISPs) block port 25 out-boud. If you have issues sending emails with SMTP port 25, try using port 587. Click Re-test to test the configuration. Click on Done to save the configuration.